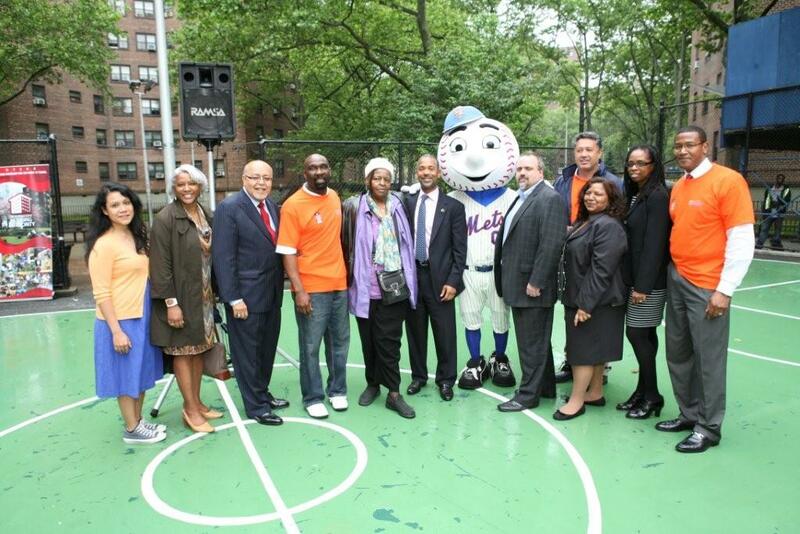 Yesterday, Citi and the New York Mets Alumni Association teamed up with Habitat for Humanity for their "Brush with Kindness" neighborhood revitalization event at the King Towers Community Center and the Youth Chorus Office at Taft Houses in Harlem, both part of the New York City Housing Authority (NYCHA). The project is part of our "Teammates in the Community" initiative in partnership with the Mets, which reflects our ongoing commitment to being active participants in the community. This week, the Employer Support of the Guard and Reserve (ESGR) named Citi as one of 30 finalists for the 2012 Secretary of Defense Employer Support Freedom Award, the U.S. Department of Defense's highest recognition given to employers for exceptional support of Guard and Reserve employees. A review board comprised of military and civilian leaders selected the 30 employers from more than 3,200 nominations received earlier this year from Guardsmen, Reservists or family members. Employers named as finalists for the award distinguish themselves not only for respecting the employment and reemployment rights of Guard and Reserve members, but for actively creating opportunities to assist and support the service of both Guard and Reserve employees and their families. The Department of Defense will announce the 15 recipients of the 2012 Freedom Award early this summer. Last week, Citi held its first Citi Field Kids program for the 2012 season at Citi Field. Recognizing the Month of the Military Child, the program included children from the Tragedy Assistance Program for Survivors (TAPS), the Wheelchair Sports Federation and United Neighborhood Houses. Tight end Jake Ballard, who helped the New York Giants to a Super Bowl championship, and Kari Miller, 2008 Paralympic Games silver medalist in Women's Sitting Volleyball, were guest speakers, with SNY anchor/reporter Michelle Yu serving as Master of Ceremonies. Yesterday, Citi released its 12th annual Global Citizenship Report, detailing the bank's progress and performance on key environmental and social indicators. Highlights of the report include Citi surpassing its 2011 goal to reduce greenhouse gas (GHG) emissions by 10% and the Citi Foundation reaching 1.6 million people to date through grants that expand financial inclusion and economic empowerment. Over the last 12 years we've made strides to continuously improve our transparency and disclosure on key issues based on our engagement with stakeholders, including clients and NGOs. This process has added value to the organization by helping our businesses better understand the needs of our clients and communities and identifying areas of opportunity to be innovative in our approach to supporting sustainable economic development. Last week, Citi Community Development received the Corporate Innovator of the Year Award from Los Angeles Mayor Antonio Villaraigosa's Office of Economic and Business Policy in recognition of its leadership in bringing together a network of stakeholders to implement the Bridges to Business Success program that is certifying, training and empowering minority-owned small businesses in the real estate services field to grow and create jobs. Bridges to Business Success is a collaboration of Citi Community Development, the City of Los Angeles, the Los Angeles Housing Department, the University of Southern California Minority Business Development Agency, and the Southern California Minority Business Development Council. The program makes use of federal Neighborhood Stabilization Program (NSP) funds received by the City of Los Angeles to create jobs and revitalize neighborhoods. In the program, minority-owned, real estate-focused small businesses undertake an eight-week business training course at the University of Southern California and receive assistance in developing a strategic procurement plan. Citi Community Development and the Latino Economic Development Corporation (LEDC) recently announced a substantial contribution to help small businesses in the District of Columbia access microloans to support business expansion, income growth, and job creation. LEDC's successful micro-lending program provides alternative financing to small businesses, the most important engines of economic growth in the District. Citi's $500,000 commitment will enable LEDC to expand its micro-lending program and increase lending to small businesses by nearly 50 percent over the next year. This past December I had the pleasure of joining 75 education leaders to develop action plans for "Building College Readiness, Access and Success in New York City in the next 365 Days." This one-and-a-half day conference, which used the innovative Open Space Technology meeting model, was sponsored by Citi Community Development (CCD) and presented in partnership with the Options Center of Goddard Riverside Community Center. Last week, Citi launched its 2012 Citi Cubs Kids season with a program featuring the new President of Baseball Operations for the Chicago Cubs, Theo Epstein, at iconic Wrigley Field. Epstein was on hand to inspire and motivate 100 students from a Chicago elementary school. Earlier this week, Citi and the New York Mets teamed up at Citi Field for a holiday celebration with 200 local kids ages 7 to 19 from the United Neighborhood Houses (UNH) federation of settlement houses and community centers. John Franco and team mascot Mr. Met were on hand for dinner and a ballpark tour. Nonprofits need data to understand community conditions so they can make smart investments and establish sound program strategies. At PolicyMap, this need drives our efforts to make data readily accessible. To advance the use of data among nonprofit partners and stakeholders, Citi Community Development (CCD) and PolicyMap teamed up to create a new online resource, the PolicyMap Data Tool. Hosted on the Community Development @ Citi website, the free PolicyMap Data Tool provides access to key indicators like 2010 population, vacancy rates and unemployment. The interactive interface allows users to drill down to information at the county, city and Census tract levels. The tool includes a customized view that provides all of the indicators with just one mouse click.